Thank you for supporting The Arcadians Musical Theatre Company, One of Birmingham’s non-profit theatre companies with charitable status. 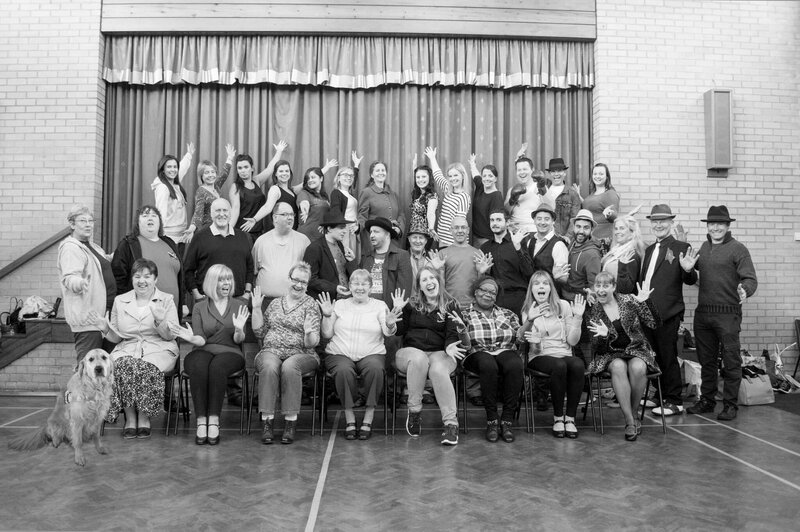 The Arcadians is a Birmingham-based musical theatre company which gives people of all ages and backgrounds the opportunity to enjoy the magic of the theatre (whether that is through performing, helping behind the scenes or watching from the audience). As well as carrying out fundraising activities to help towards the costs involved in putting on our own theatre productions, each year we nominate a deserving local charity, for which we also raise funds to donate on behalf of The Arcadians.Please donate to support our causes. 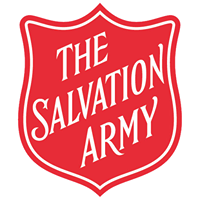 During our Guys & Dolls production in November 2017 , we raised a total of £350 for The Salvation Army. Thankyou to everyone for helping us raise this amount. Running For The Arcs ! 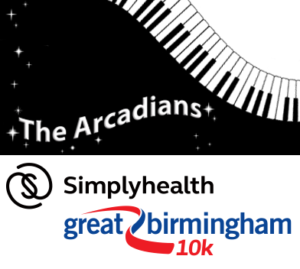 On May 6th 2018 , Five members of our company took part in the ‘2018 Simplyhealth Great Birmingham 10k’ to raise funds for the ‘Arcadians Musical Theatre Company Charity’. Tony Buckley, Chris Buckley, Rosie Forster, Kerry Clarke and Andrew Smith have been training for this event whilst rehearsing for The Arcadians production of ‘Some Enchanted Evening: A Celebration of Rodgers and Hammerstein’. Click Here To Donate Now !